Whether you are taking a long hiking trip, or just want to spend a weekend outdoors, getting a good night’s sleep is vital. With Randy & Travis’ double two-person camping sleeping pad, you and your tentmate will enjoy all the comfort of home while under the stars. 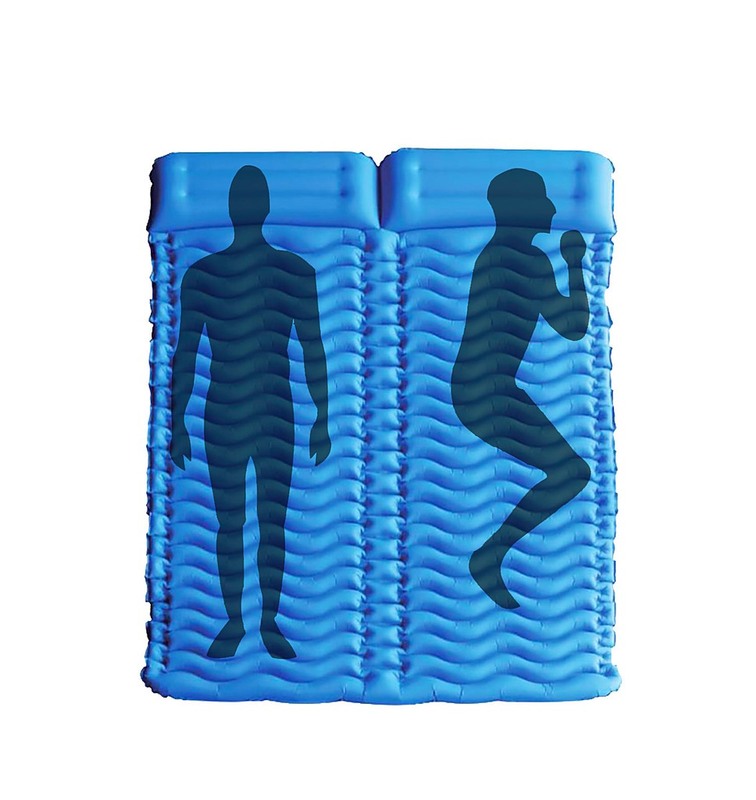 A V-shaped chamber design controls air movement inside the pad to maximise comfort. Sized perfectly for a two-person tent, this rugged sleeping pad can handle even the roughest terrain with ease. 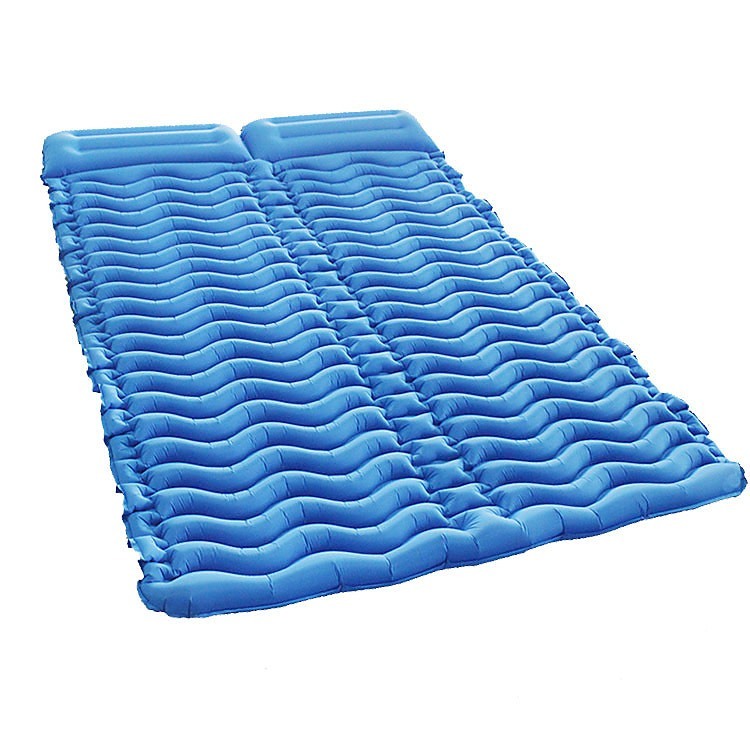 The companion air pump inflates your sleeping pad in only eight to ten pumps, getting you ready for bed in record time. A patch kit quickly repairs any accidental tears, while a stuff sack holds your deflated bed and all its gear. 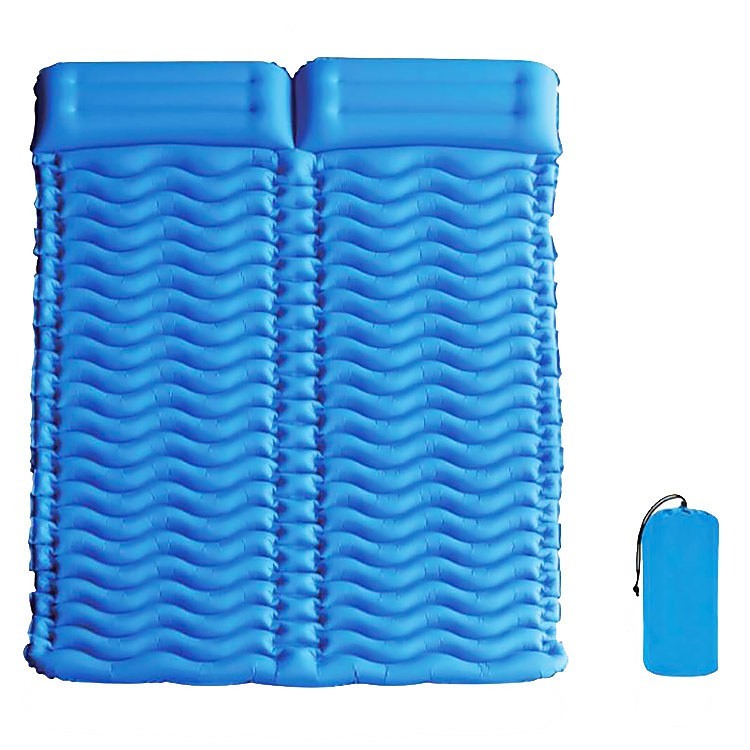 Tested for leaks over a 24-hour period before they ship, our two-person sleeping pads will provide dependable service as you enjoy the great outdoors. If you’ve been planning to go on a camping trip before summer’s end, don’t put it off another week. Order your two-person camping sleeping pad and accessories today.